A warm smile is a primal expression of happiness. It's an emotional symbol that we can't live without. where we treasure our content and love. And that's where the SMILE WOODMAN was born. Always keep in mind,that's how our life should be---smiling. Smile woodman, a boy is always smiling. Design concept is from Pinocchio in fairy tales. 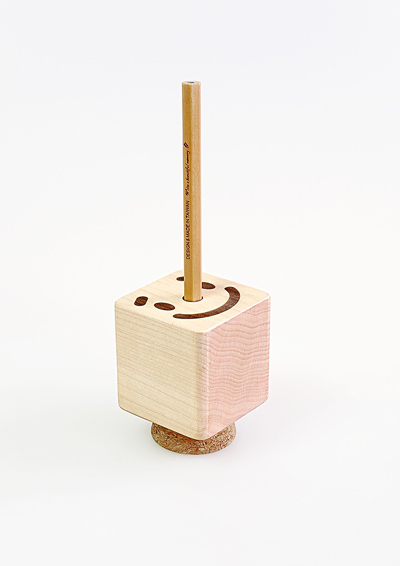 You can sharpen pencils, just like you rotate his nose. you could be a good boy again when you change your mind. 1.Insert pencil in to the sharpener, rotate pencil clockwise. 2.Remove bottom cork plug to empty wood shavings.